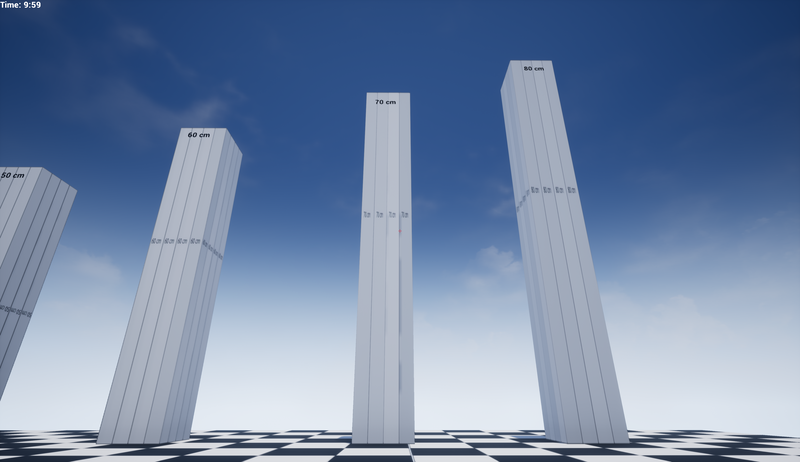 This was a jumping metric test I did for a cancelled collaborative project. 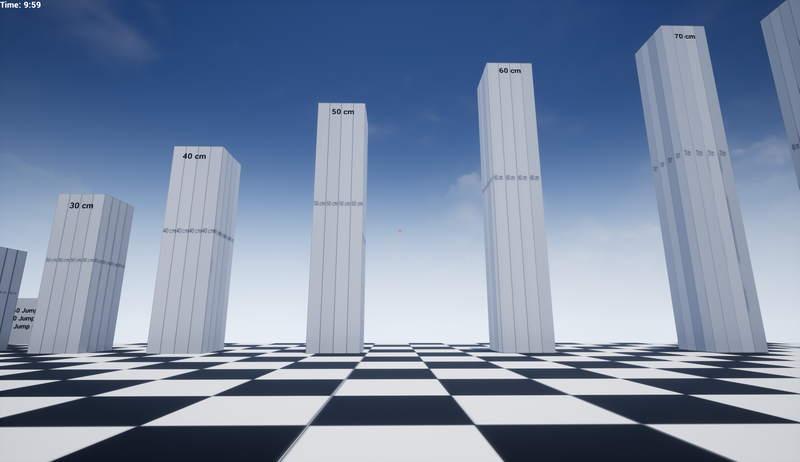 When I was making this I played the original game to get the feel of how the jump felt and then tried to recreate that feeling in Unreal 4. 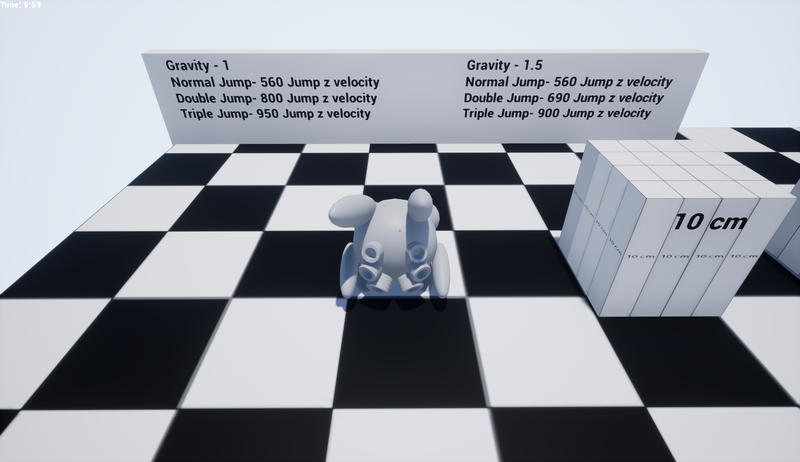 When I first tried to recreate the jump mechanic in Unreal 4 I set the gravity to 1 but the Rabot didn’t drop like it did in the original game and the jumps felt like they floated too much. Then I tried making the gravity 1.5 and I had to change the different Z velocities and got the jumps and the drop to feel just like the original game. One difference to set our game apart from the original game was that we were going to have a skill point system that would let you have up to 6 jumps total if you put the skill points into upgrading your jump. 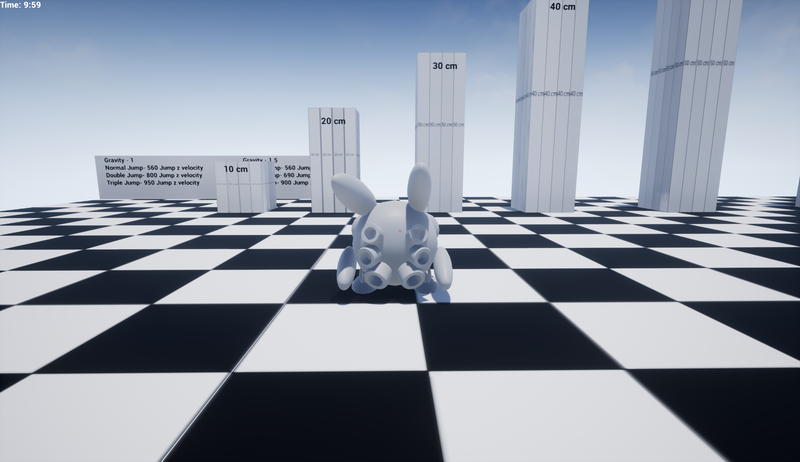 After I finished making this the project ended up not moving forward in development but if it had I would have handed this off to the level designers so they could start blocking out levels in the right scale. Click here to see more System Design.